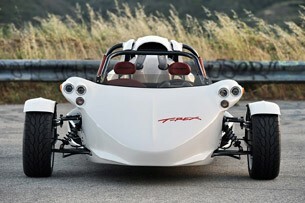 Without a doubt, the three-wheel Campagna T-Rex 16S is one of the most fascinating vehicles I have ever driven. "Drive it like a car, but act like you are on a motorcycle," were the words of wisdom bestowed upon me before the keys were handed over, and the advice couldn't have been more accurate. During the next four days, I zipped blissfully around town with the wind blowing through my hair as I watched the front wheels articulate over the pavement. I could smell the ocean as I drove down Pacific Coast Highway, and taste the dry brush of the Santa Monica Mountains as I toured the canyons. I also took a bumble bee in the cheek, was nearly squashed by an inattentive driver in a Toyota Camry, cut off by a Ford F-150 and I was stared down by the law at every opportunity. Apparently, that's the price of having the wind blow through your hair as you mount a low-slung, agile steed with a very unique three-wheel configuration. 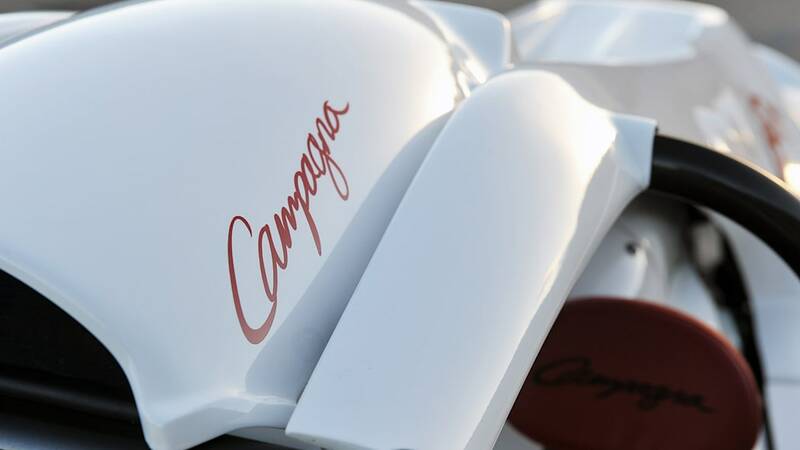 Campagna Motors has been hand-building three-wheel side-by-side vehicles since 1995. 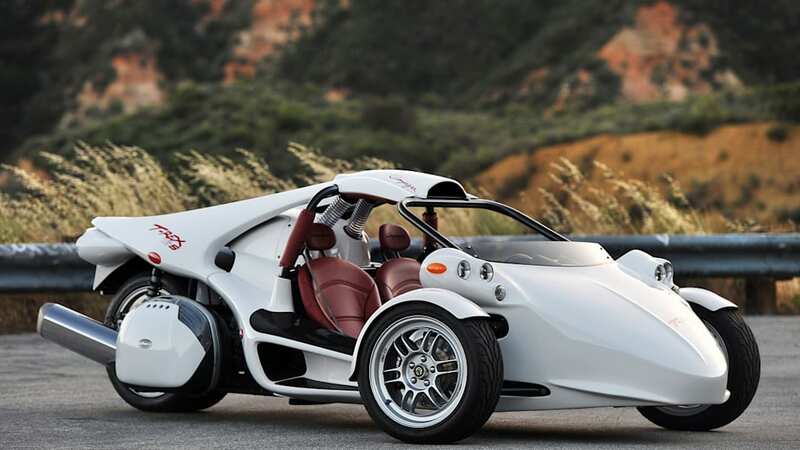 Based in Montréal, Canada, the company's claim to fame are its small tube-frame cars that are based on motorcycle mechanicals. 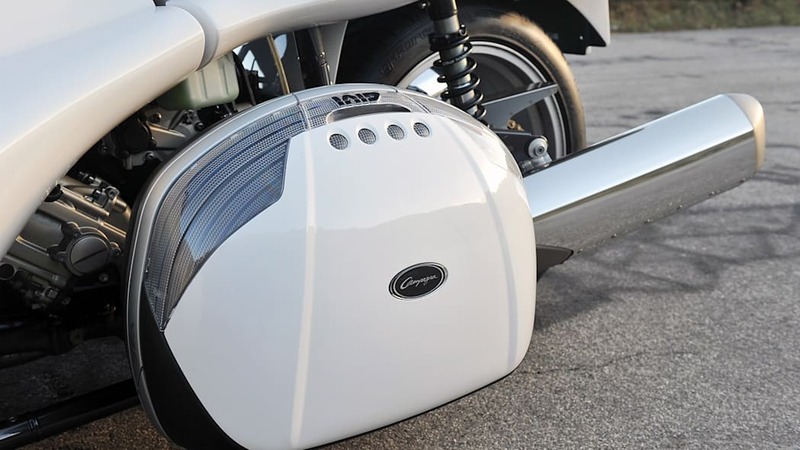 To date, they have put about 1,600 units on the road. 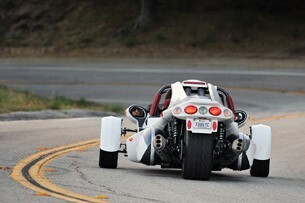 Avid readers will recall that we sampled the $48,000 V13R, with the heart of a Harley-Davidson, in October 2011. 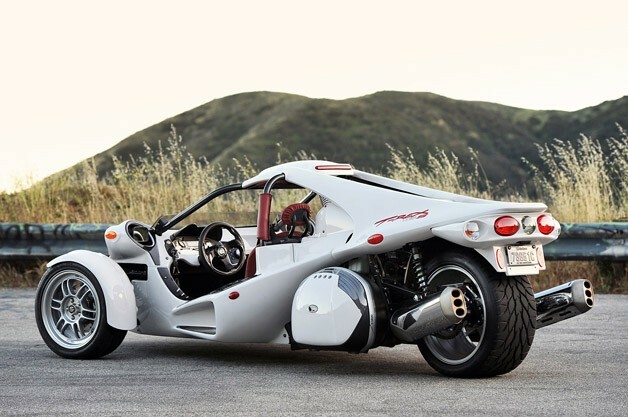 The following summer we drove the $58,000 T-Rex 14R, a hot little handful fitted with the four-cylinder mechanicals of a Kawasaki Ninja ZX-14. 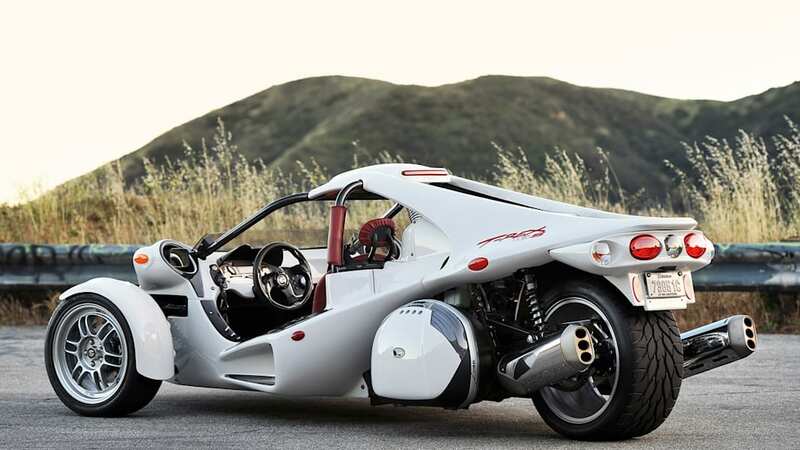 But things have progressed, in a slightly more civilized manner, as the manufacturer has inked an agreement with BMW Group to supply liquid-cooled motorcycle crate motors for its new model, the $62,000 T-Rex 16S. 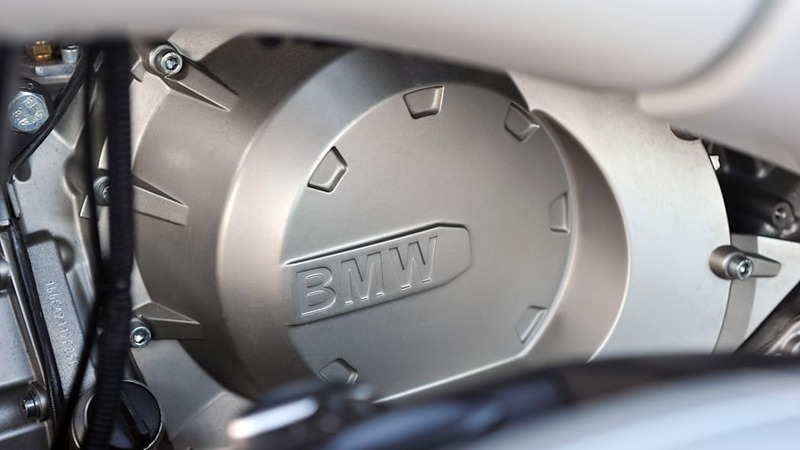 Campagna has inked an agreement with BMW Group to supply liquid-cooled motorcycle crate motors. 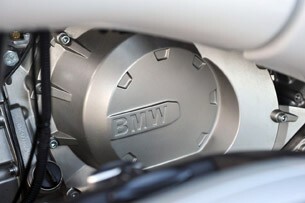 The inline six-cylinder engine, sourced from BMW Motorrad, is rated at 160 horsepower and 129 pound-feet of torque. 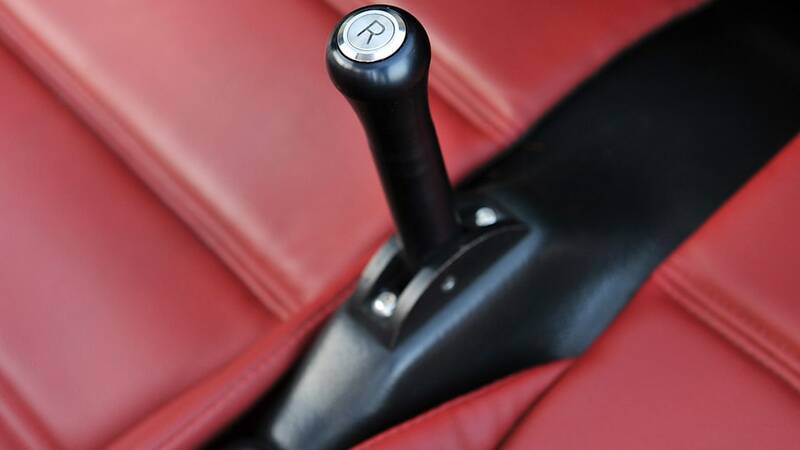 The six-speed sequential manual gearbox is also BMW's, but Campagna has embedded its own reverse gear inside BMW's housing to improve drivability. 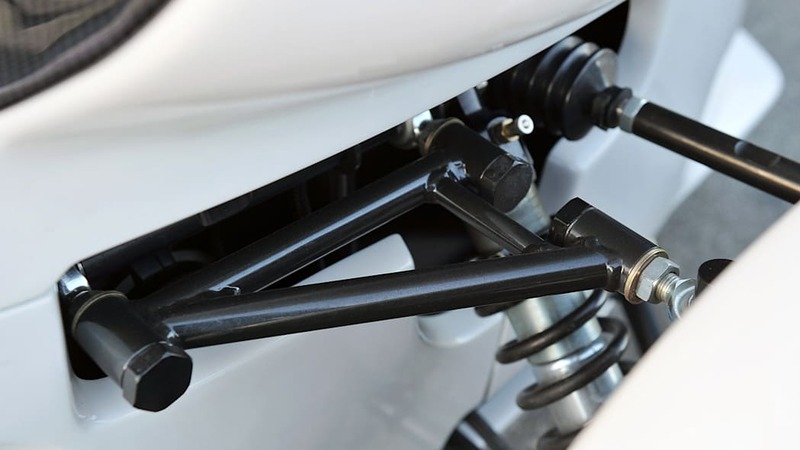 BMW uses shaft-drives, but it would have been too low for the chassis so a chain drive was implemented instead. 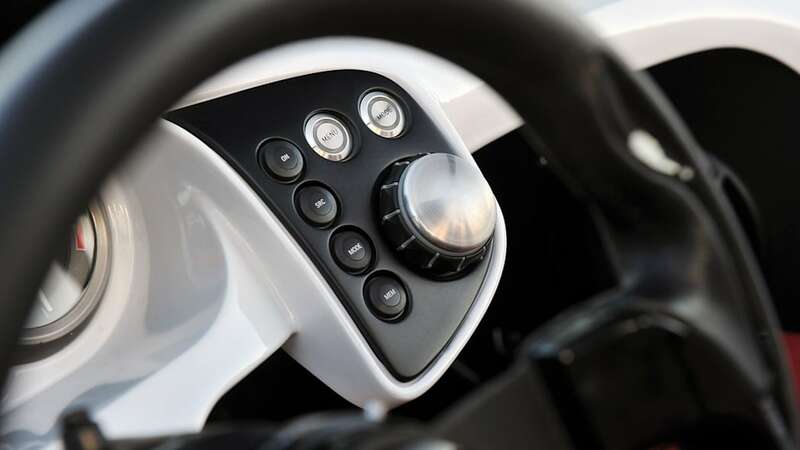 The motorcycle transmission, clutch, brakes and throttle operation have also been adapted to mimic the controls in a car – there are three pedals on the floor and a shift lever between the two passengers. 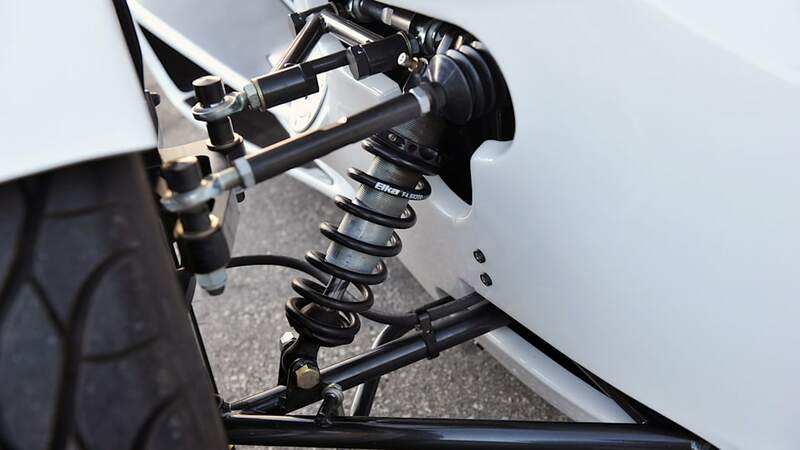 Construction of the chassis is entirely comprised of steel tube frames, with a sturdy sheet metal floor and fiberglass body panels. 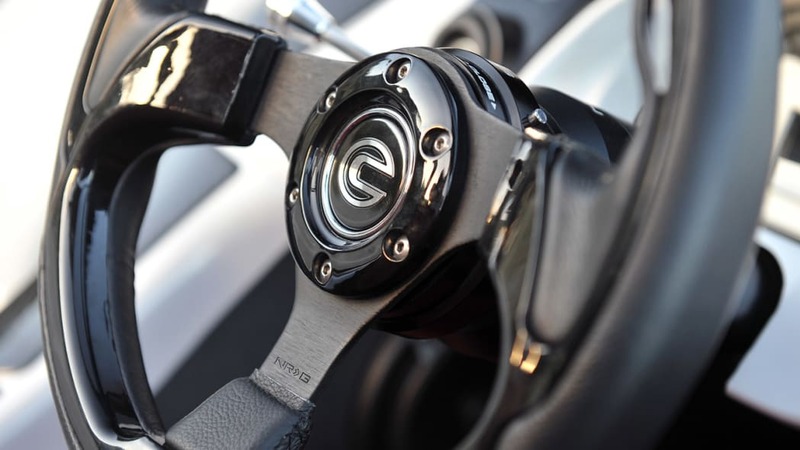 The wheels are cast aluminum, in 16- and 18-inch diameters, made by Enkei. 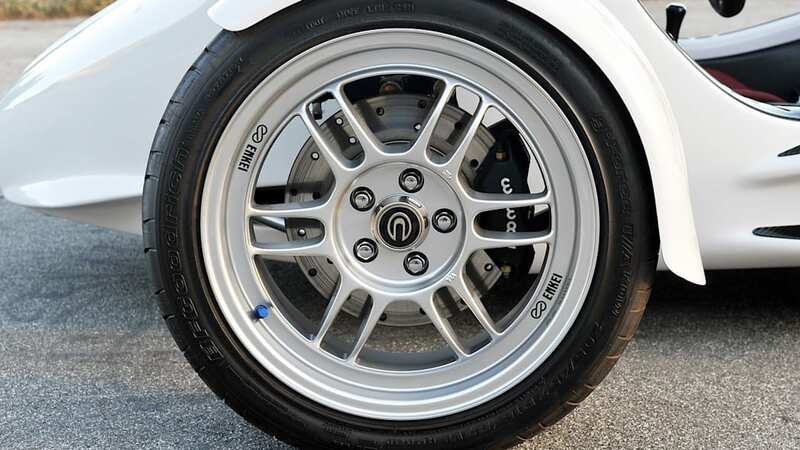 The tires are performance-oriented BF Goodrich KDW rubber, sized 205/45ZR16 in the front and 295/35ZR18 in the rear (incredibly, Campagna only puts 16-18 psi of air in each tire as they are so lightly loaded). 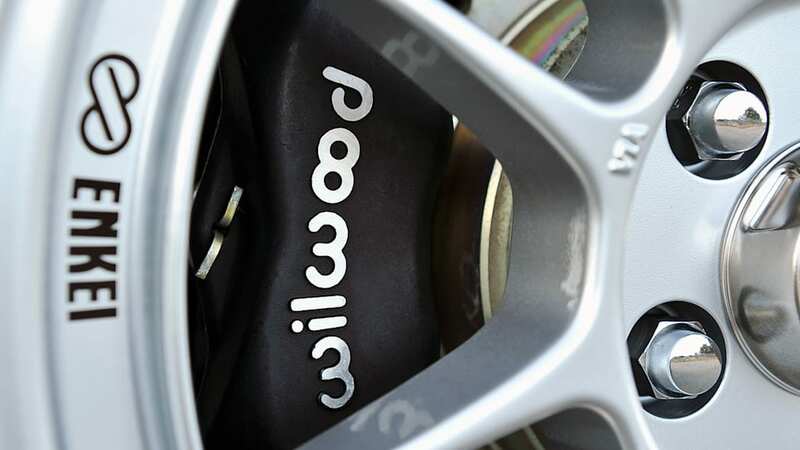 There are Wilwood monobloc calipers at all three corners clamping down on drilled iron rotors. 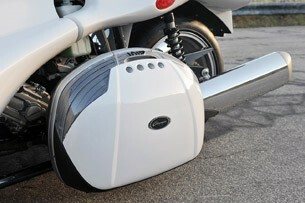 The plastic pods on each side of the engine are for storage, think of them twin strap-on trunks, and each is removable. 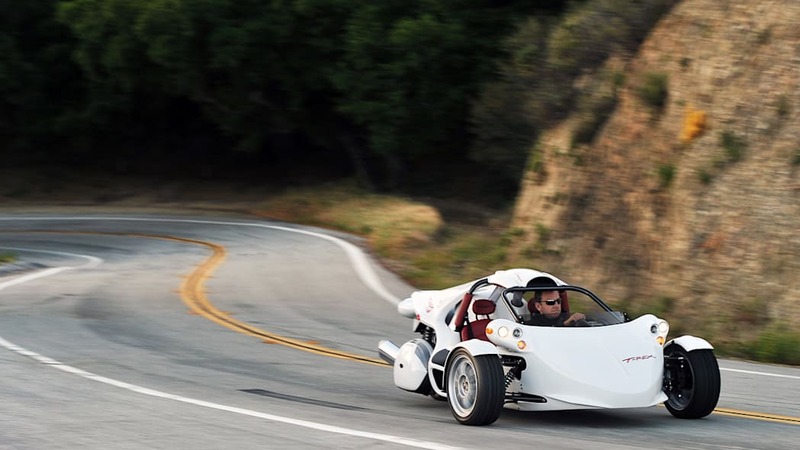 Its curb weight is a mere 1,100 pounds. 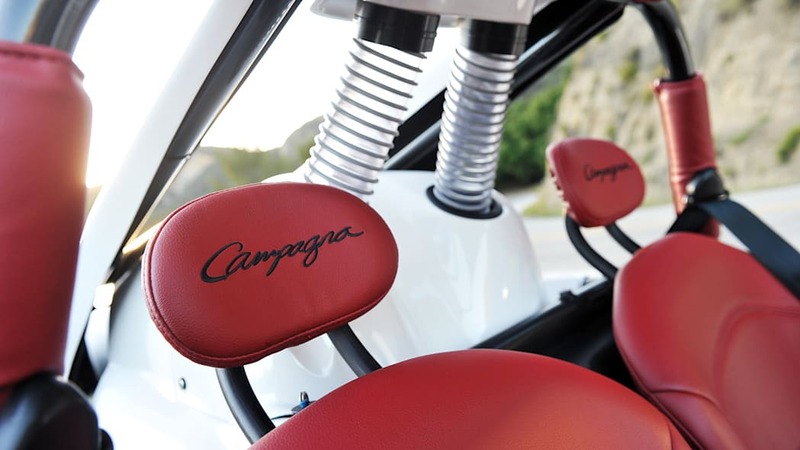 Passengers sit on adjustable seats (the pedals are also adjustable) covered with padded marine-grade waterproof vinyl upholstery. 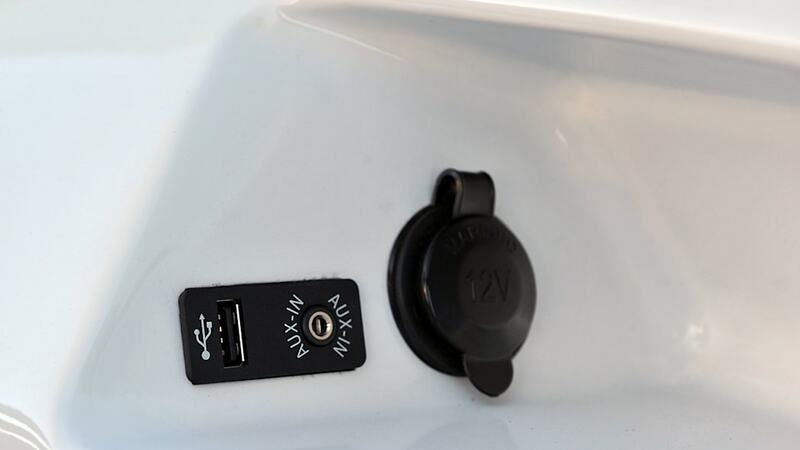 There is a 180-watt Alpine sound system; USB, iPhone and Bluetooth connectivity; and a 12-volt cigarette plug on the dash. 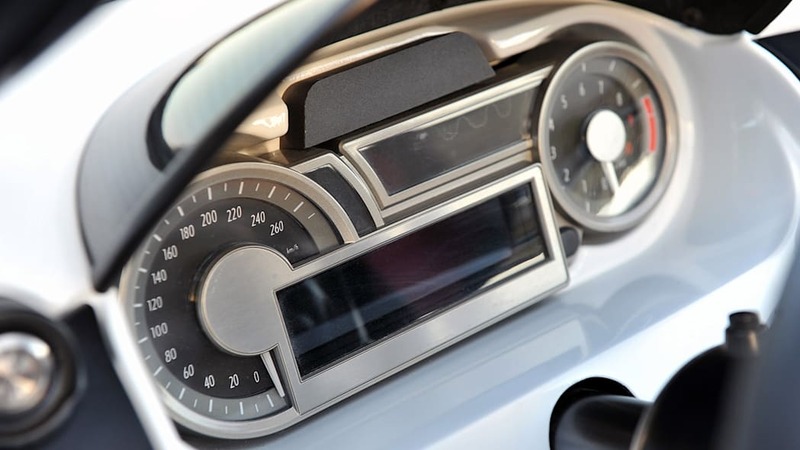 BMW's electronics, including trip information and a distance-to-empty display, complete the list of amenities. 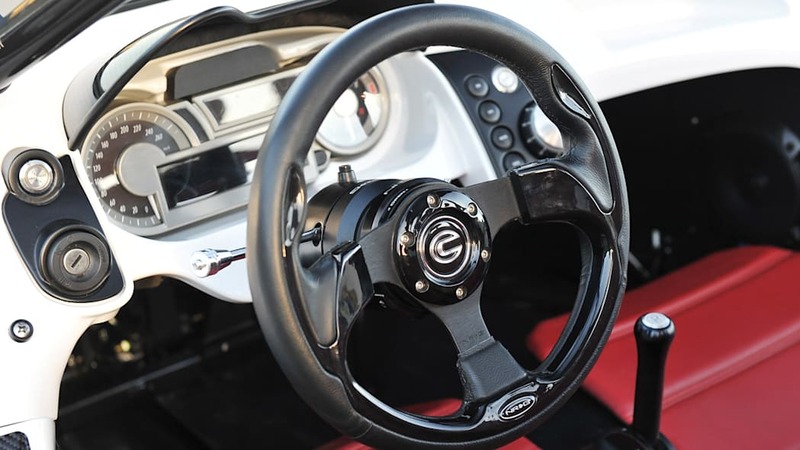 The 16S does not have anti-lock brakes, airbags or stability control – safety equipment mandated in the States for passenger vehicles. 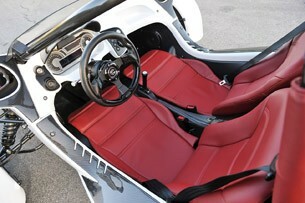 Both passengers are held in place by three-point inertial-reel seat belts, and there is padding on the roll cage. 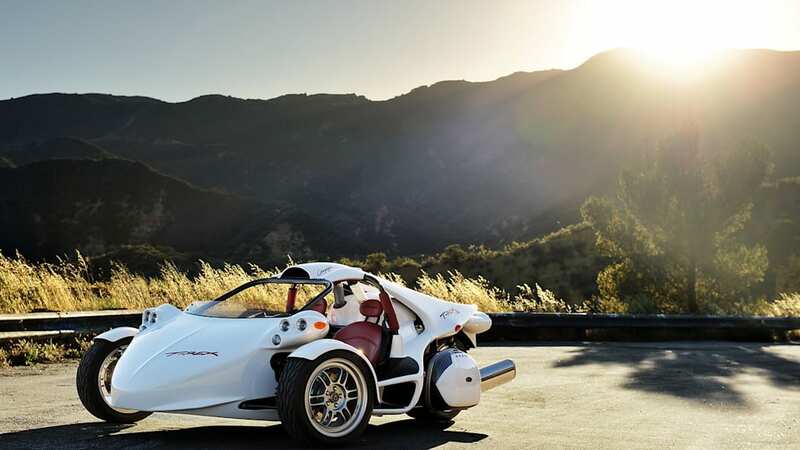 Campagna says that the T-Rex has been crash-tested by the Canadian government, a.k.a. Transport Canada, and has met its standards. 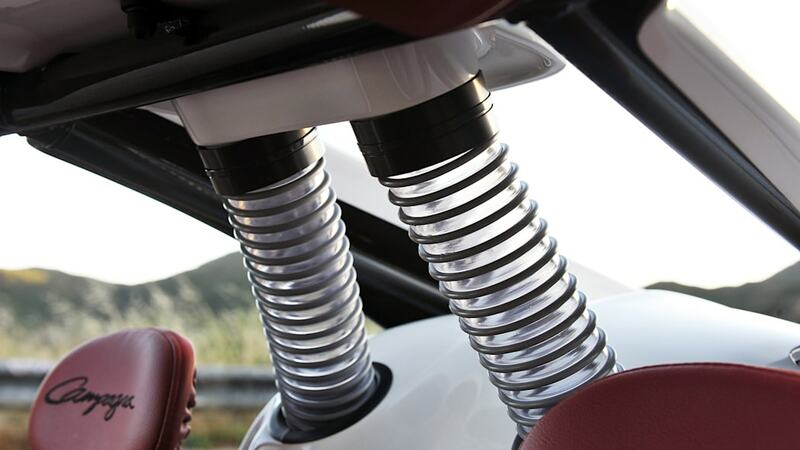 That said, the 16S does not have anti-lock brakes, airbags or stability control - safety equipment mandated in the States for passenger vehicles. 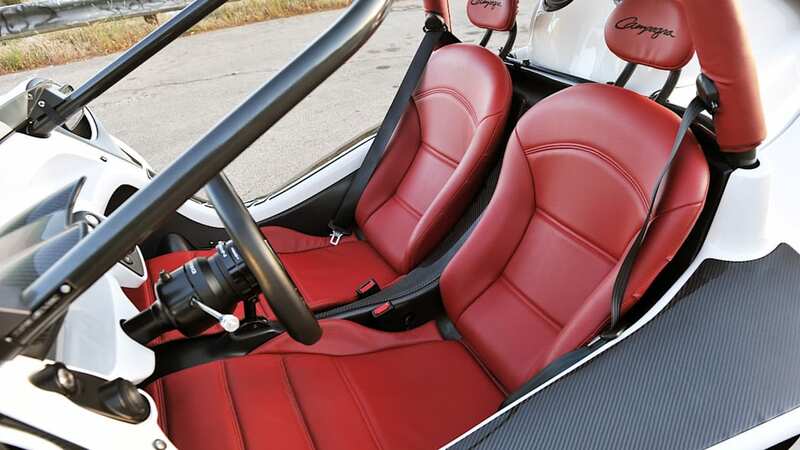 But as the vehicle's passengers sit side-by-side, it is technically not a motorcycle. Therefore, helmets and protective glasses are not legally required. Difficult to discern from the pictures are the T-Rex's odd dimensions. 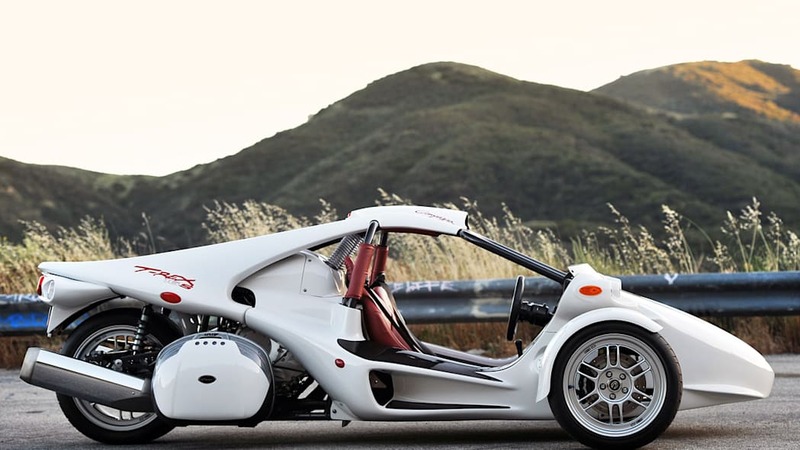 Overall, it is about 138 inches long (half a foot shorter than a Mini Cooper) and 78 inches wide (three inches wider than a Chevrolet Corvette ZR1). 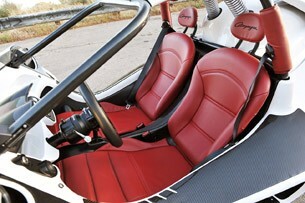 Most important, it is only 42 inches tall (five inches shorter than a Ferrari 458 Italia). To summarize, it is short, wide and it hugs the earth. 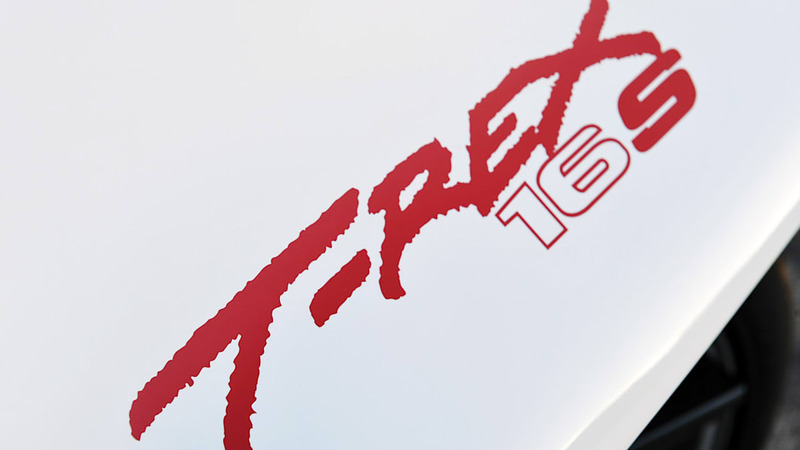 The T-Rex is fitted with a removable three-spoke steering wheel. Even so, it took an artful ballet to drop into the cabin. 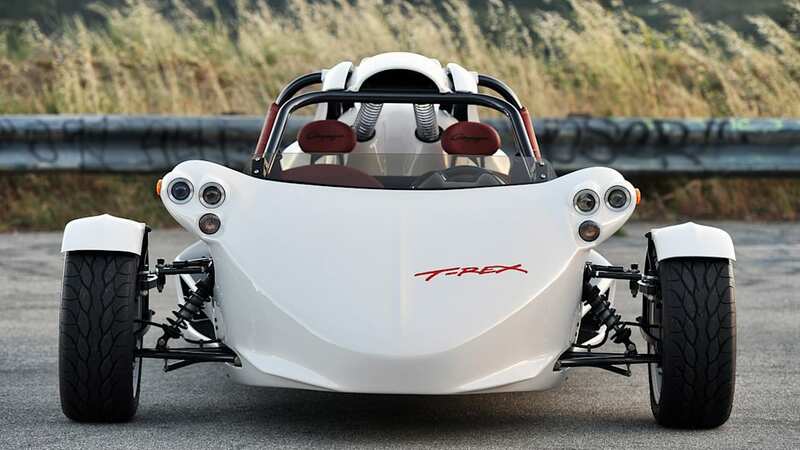 To ease entry/egress, the T-Rex is fitted with a removable three-spoke steering wheel. Even so, it took an artful ballet to drop into the cabin after using the cage as a monkey bar. The seat was comfortable, but my 195-pound, six-foot two-inch frame was wedged into place with little wiggle room. Peering forward, I realized how insanely low the 16S is – I was staring directly at the license plate of the vehicle in front of me. 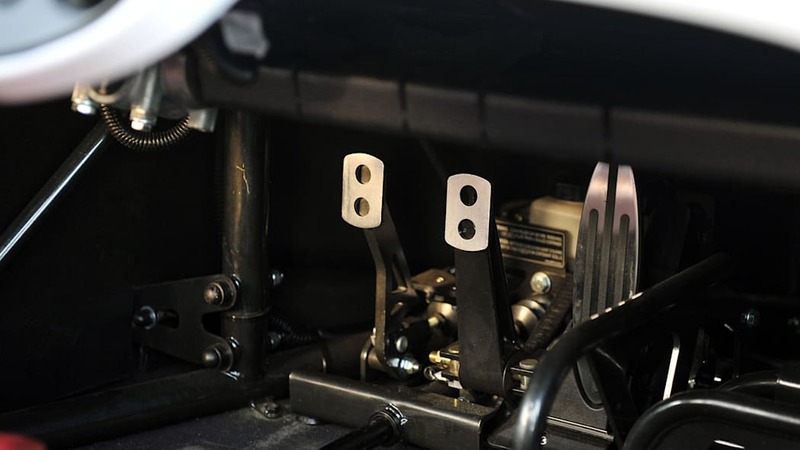 An electronic ignition fires the 1,600 cubic centimeter engine over quickly and it settles into a rapid idle. 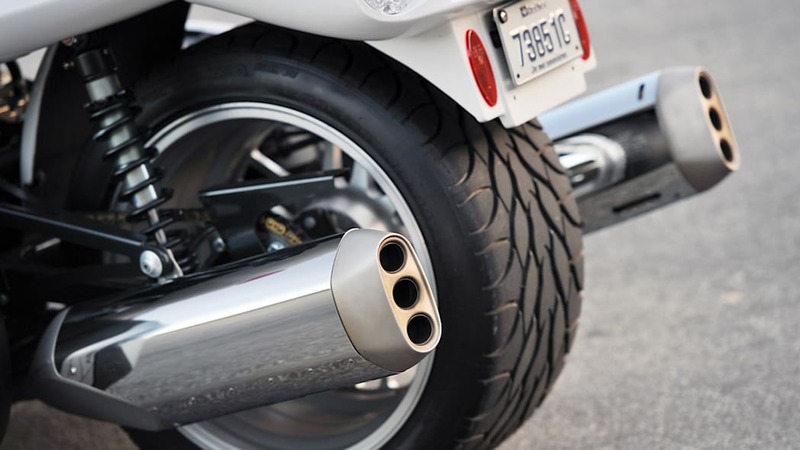 The exhaust note is pure motorcycle, but with the added bonus of significantly more mechanical noise as the engine occupies the space between the passengers and the fat twin tail pipes. A very legible, illuminated digital display smack in the middle of the cluster shows the transmission's current gear (or "N" when Neutral is selected), which is very helpful to a car guy. However, the shift pattern is unique. 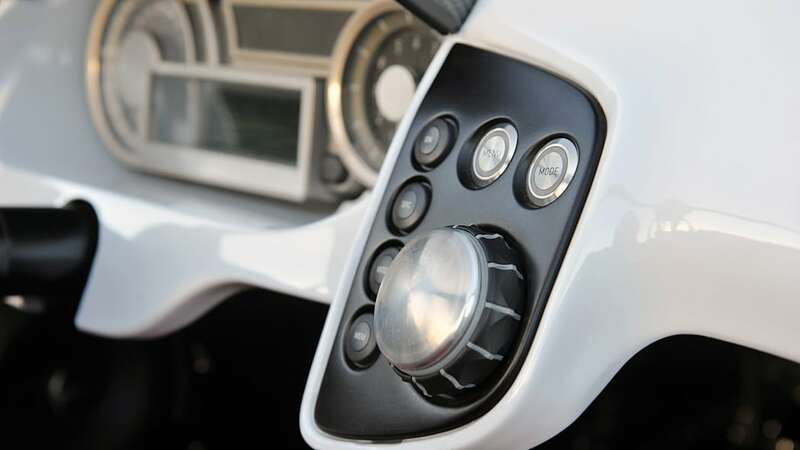 Forward movement requires one push on the gear lever for first, and then a rearward pull for each subsequent gear. 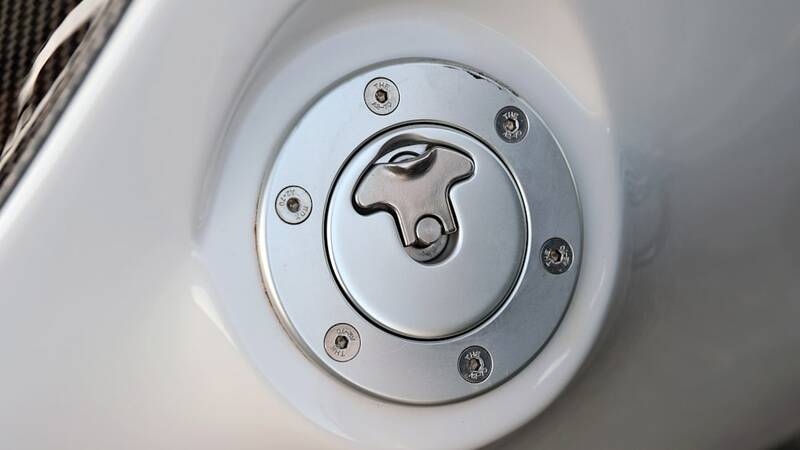 Reverse is engaged via a small button on the top of the lever, once the gearbox is in Neutral. I found the clutch very light and it bit quickly (the engagement seemed shorter than the travel of a keyboard's space bar). I stalled the 16S about a dozen times before becoming acclimated with it. Then, of course, I stalled another dozen times when I added the weight of a passenger to the second seat. The engine spun the tachometer like the hands of an altimeter strapped to the side of a sounding rocket. 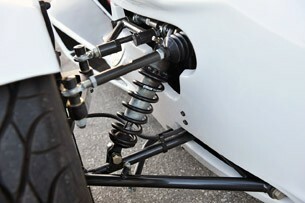 But the awkwardness of the clutch and gearing was immediately forgotten when the throttle was floored. 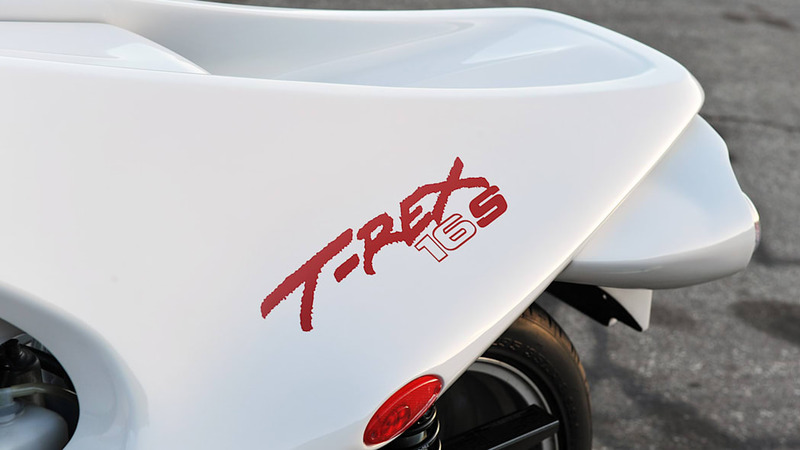 I expected the T-Rex 16S to be crazy fast, and it was. 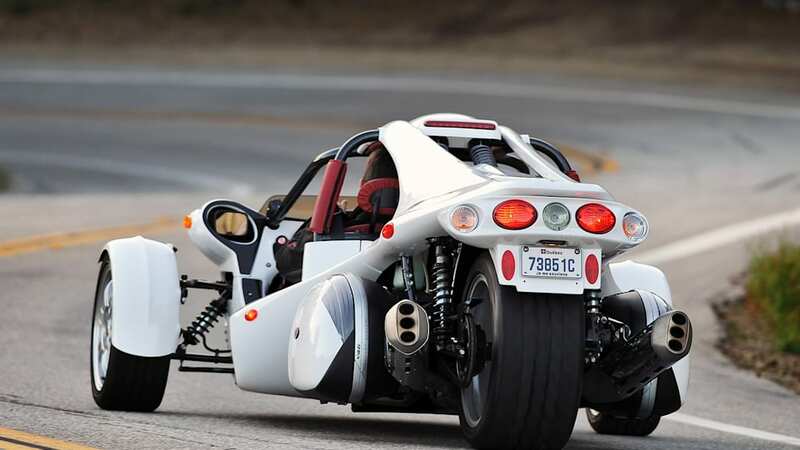 The machine boasts a power-to-weight ratio of 6.875 pounds-per-horsepower (about the same as a Shelby GT500), so it cracks off a 60 mile per hour sprint in about four seconds flat. 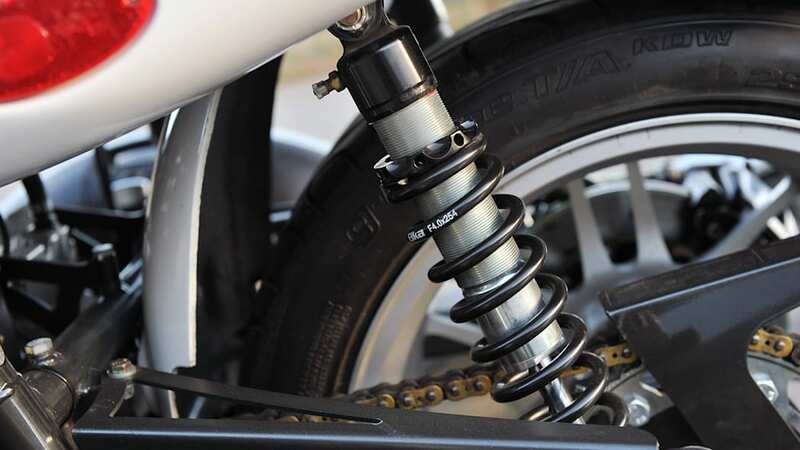 Its motorcycle DNA helps, too, as underway the gear changes were lightning fast and the transmission only seemed slowed by my human interaction. The engine spun the tachometer like the hands of an altimeter strapped to the side of a sounding rocket. The meaty chain driven steamroller bolted to the back isn't as planted as one would expect, either. 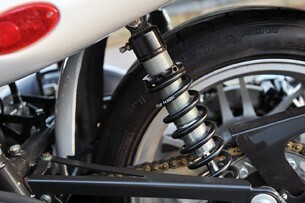 When the throttle was punched in first or second gear, that substantial rear tire would break itself free. Even on warm rubber, traction was an issue. In fact, I did more than a few T-Rex tail-kicking powerslides... and only one was intentional! Also unexpected was the deafening calamity taking place inches behind my head. The 1883 eruption of Krakatoa in Indonesia is considered the loudest sound ever heard in modern history. 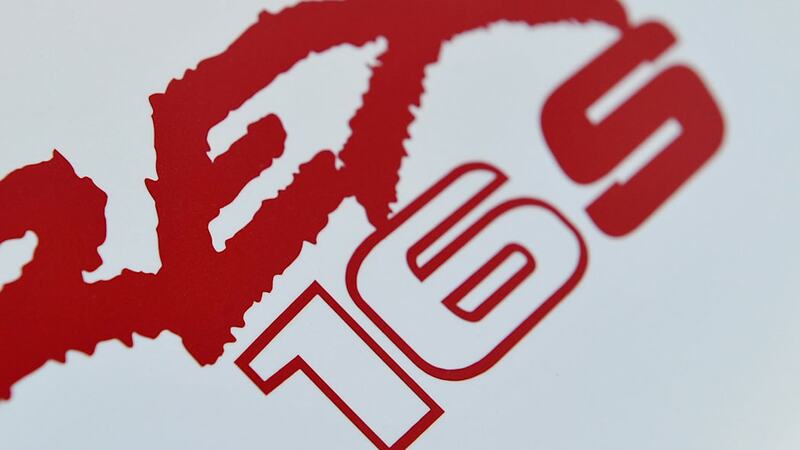 I venture that the 16S comes in a very close second. Most people wear helmets or ear plugs... That comes as no surprise, as the sound is damn near deafening. 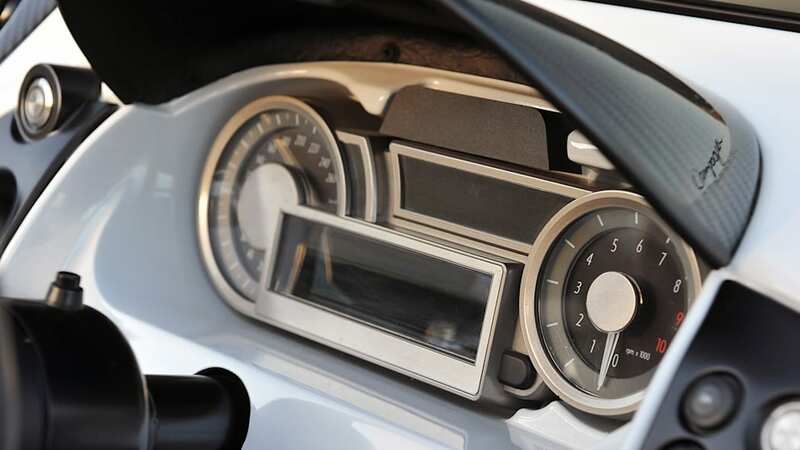 A motorcyclist is isolated from much of the mechanical din by a three-foot-thick cushion of rapidly moving air between their ears and the engine tucked between their legs. Obviously, there is no such barrier between the passengers of the T-Rex and the deafening machinery exploding upwards of 9,000 times per minute just aft of their spinal cords. 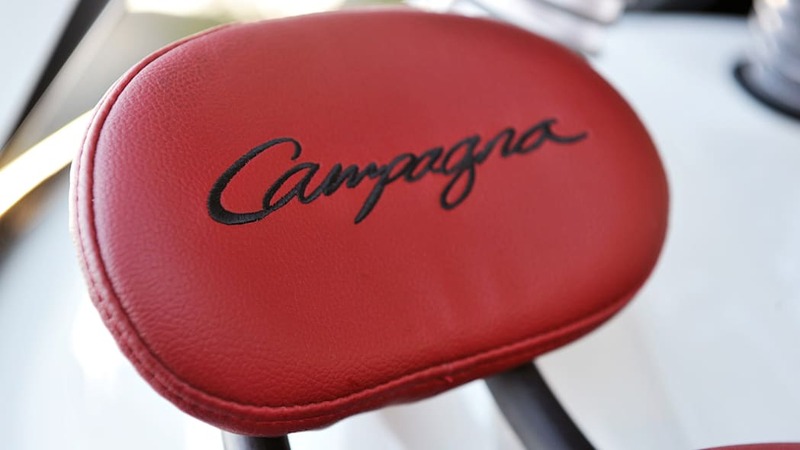 An executive at Campagna told me that most people wear helmets, or ear plugs, when they drive at sustained higher speeds. That comes as no surprise, as the sound is damn near deafening. 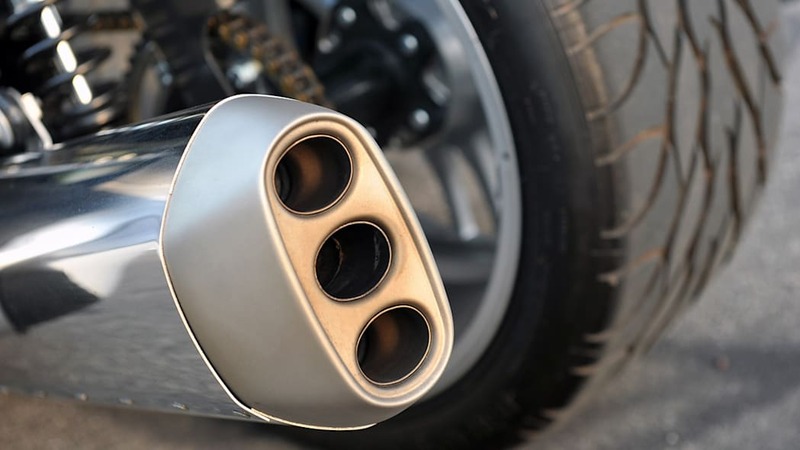 Don't get me wrong; I like a powerful exhaust note every bit as much as my fellow enthusiasts. 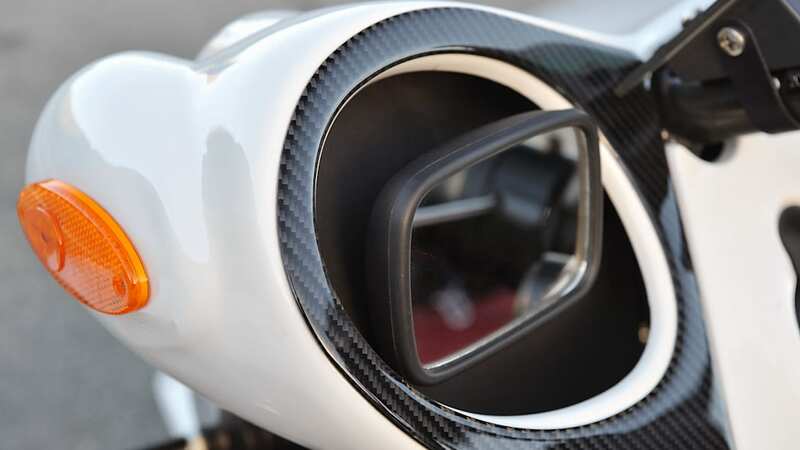 Yet the exhaust tips at the extreme end of the 16S are drowned out by the volume coming from the six-cylinder engine just behind the seats. To save my auditory perception from permanent damage, I donned a full-face, thickly padded helmet whenever I was venturing more than a mile or two. The T-Rex was still loud, but thankfully no longer painful. As an added benefit, the Lexan face shield kept flying insects, pebbles and debris out of my face. Once my head stopped rattling, and without the fear of losing an eye, I was able to truly enjoy the machine. 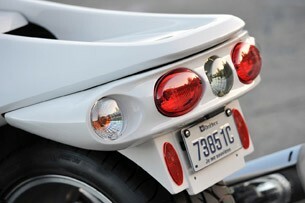 The trike design, with two wheels up front and one in the rear, provides incredible stability. 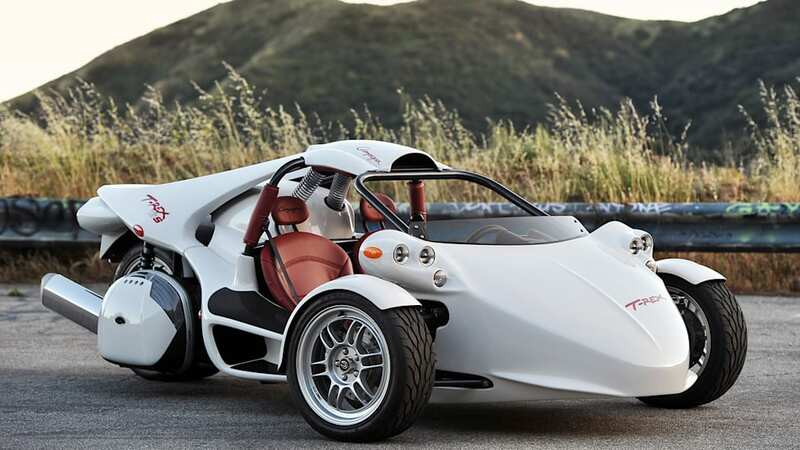 Unlike the reverse setup, which becomes very unstable while braking mid-corner, it seems nearly impossible to roll a T-Rex without hitting something first. It took only a few miles to trust the awkward footprint (it is really odd avoiding something in the roadway when you are laying three parallel tire strips) before I found myself becoming very confident. I started to push the 16S surprisingly hard. 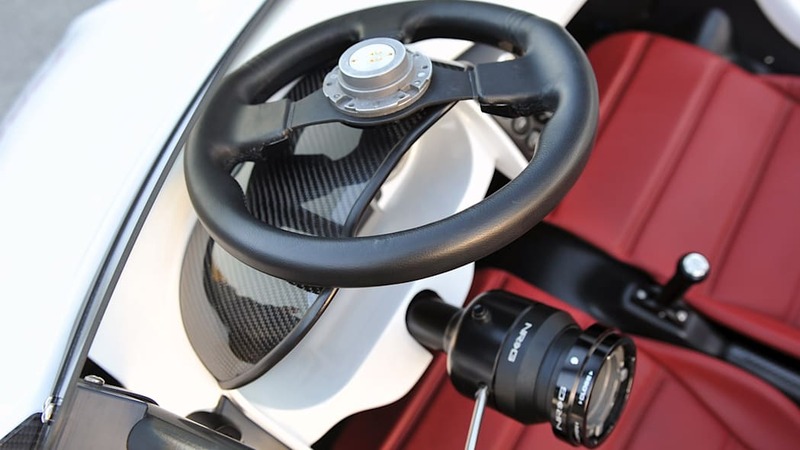 Despite a lack of power assist on the steering, the effort required felt good while rolling and there was an incredible amount of tactile feedback. Putting a tire exactly where it needed to be was easy, too, as I was able to clearly see each front contact patch. Of course, there is also that added sense of coolness as occupants are able to watch the front wheels turn, bounce and articulate just inches away (it is pure torture trying to resist touching the spinning wheels). Drilled rotors apparently make a curiously interesting, almost musical, whirling noise. 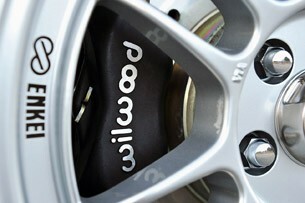 Braking is equally impressive, with the added character of rotor noise - something I had never experienced. Drilled rotors spinning against brake pads apparently make a curiously interesting, almost musical, whirling noise that is never heard from the inside confines of a passenger car. 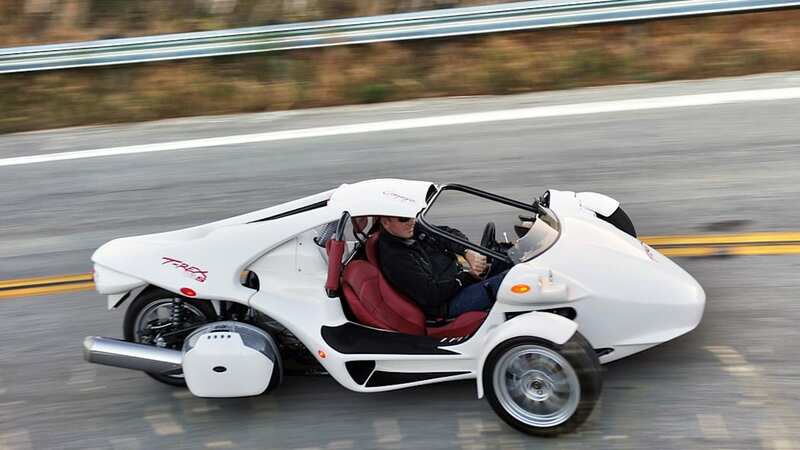 Slam the brakes, being careful not to lock up a tire, and the rotors sing as the three-wheeler quickly decelerates. Modulation was good, and it never felt like the back end was coming around. Carving canyons is the T-Rex's expertise. I took the 16S to Mulholland and it was sports-car spectacular. Flicking through the gears and feeling the strong push of the BMW six at my back while smelling the fresh spring air was a blissful escape. 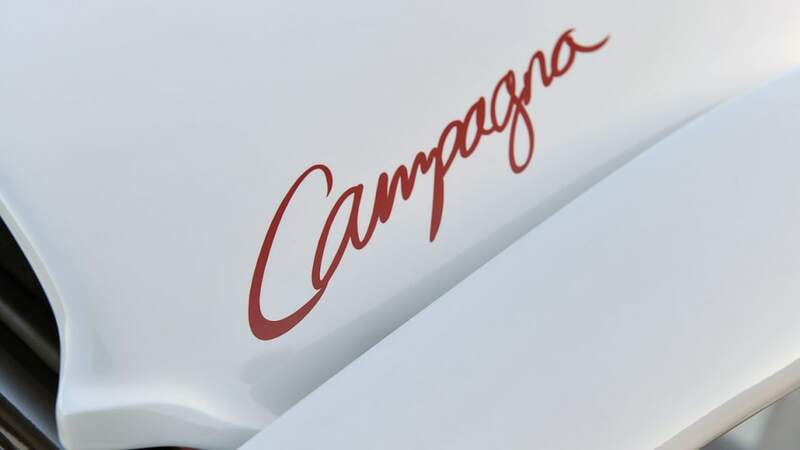 Thanks to the hearty six, there was plenty of torque, even low on the tachometer, and I toyed with other sports cars as the Campagna had no problem keeping up with their spirited driving. I found myself intoxicated by the manual involvement required to drive, the sounds of its various mechanical systems and the rush of the wind. Saying it provides a unique driving experience is an understatement. 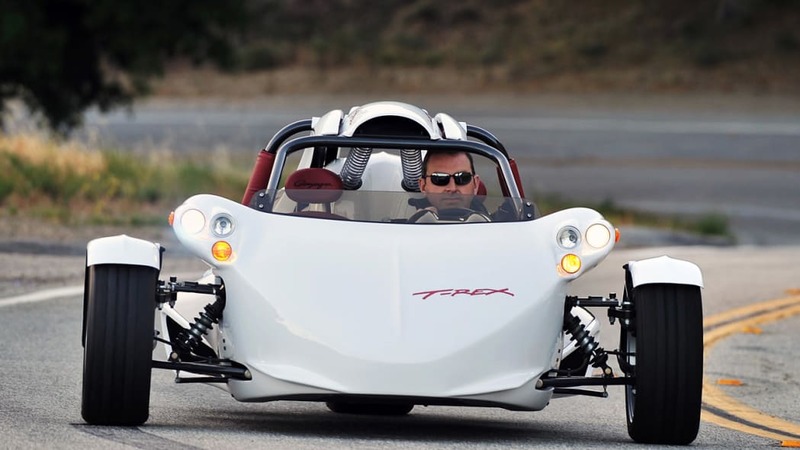 Compared to other modes of wheel-based transportation, the T-Rex represents unconventional thinking, far outside the box. 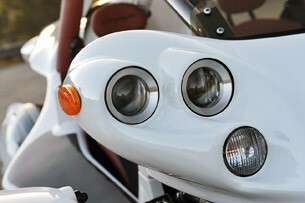 I was able to adjust the mirrors to cover my peripheral view, but I still couldn't see anything riding up my tailpipes. 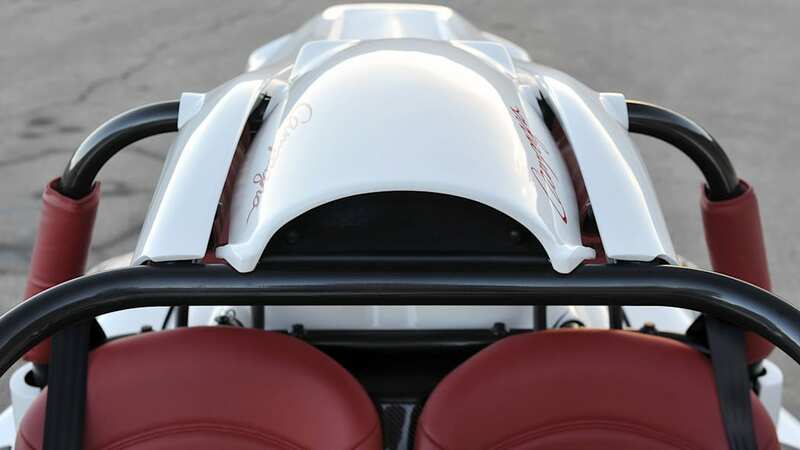 Of course there are a handful of compromises with an open-cockpit three-wheeler. 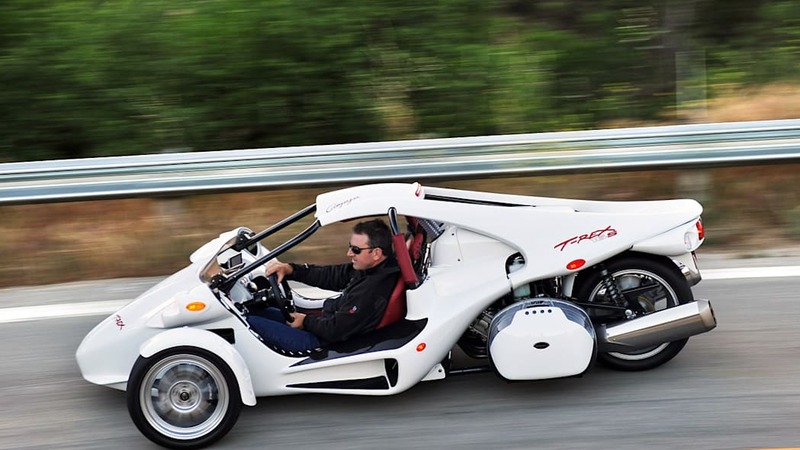 Most glaring from my perspective was the lack of outward visibility to the rear - dead center behind the T-Rex. 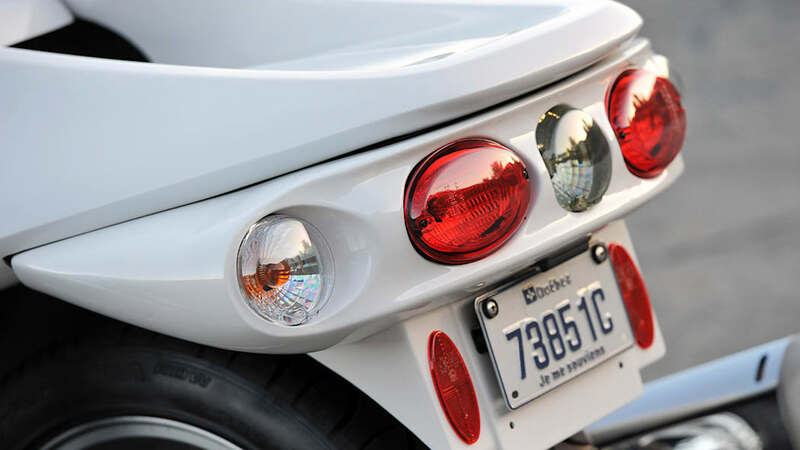 I was able to adjust the mirrors to cover my peripheral view, but I couldn't see anything riding up my tailpipes. That was very unnerving, especially around town with other traffic, and I frequently wished for a rearview camera to tell me what was going on behind my back. Furthermore, drivers in their closed cabins didn't see me and I had to constantly avoid their blind spots to stay out of trouble. It took effort, and it wasn't enjoyable. All of which brings me back to the advice handed over on day one: "Drive it like a car, but act like you are on a motorcycle." 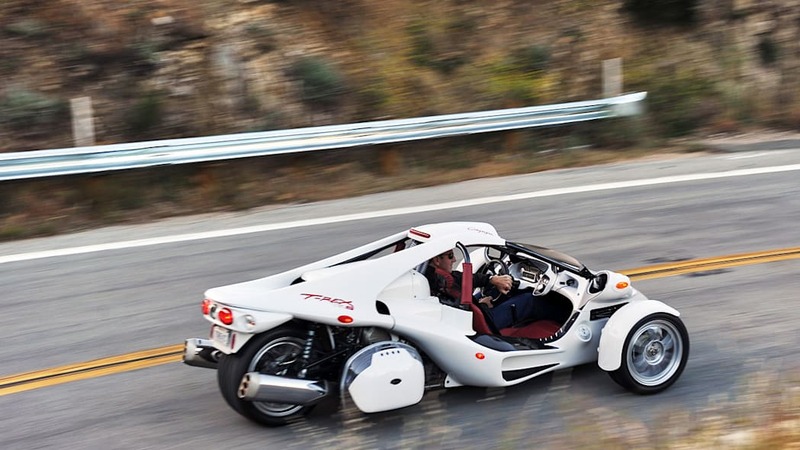 In a world of only ground-hugging Campagna three-wheelers, everyone would get along beautifully well. 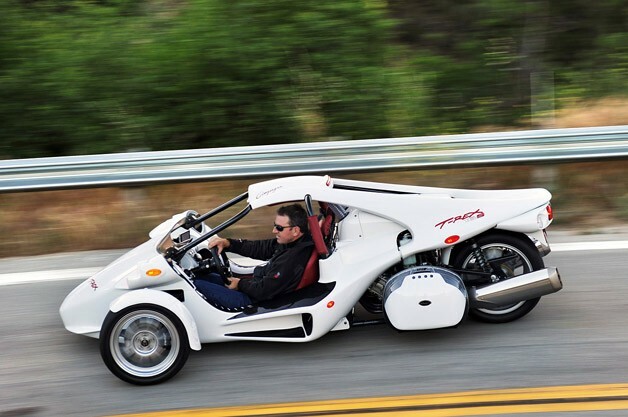 But the T-Rex is an anomaly in a world full of two- and four-wheeled machines not accustomed to its presence. 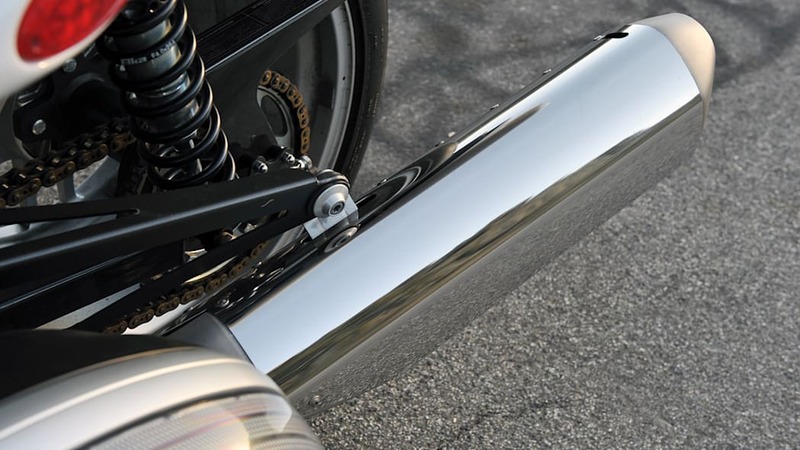 The vast majority of vehicle drivers barely know how to interact with motorcycles (thus explaining why everyone on a two-wheeled bike needs to keep their head up and drive as if everyone is out to get them), let alone something even lower to the pavement. 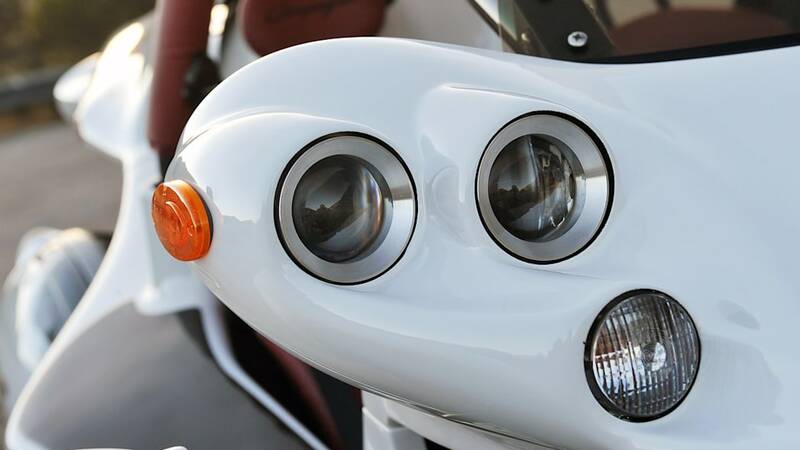 Most importantly, a rider on a bike can peer around cars and see through traffic. Yet the low-slung 16S doesn't afford the same outward visibility, and it disappears in congestion. In urban settings, remaining visible to others becomes priority number one. 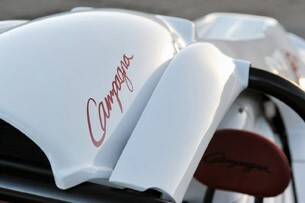 When people do eventually see the Campagna, they go comically bonkers. 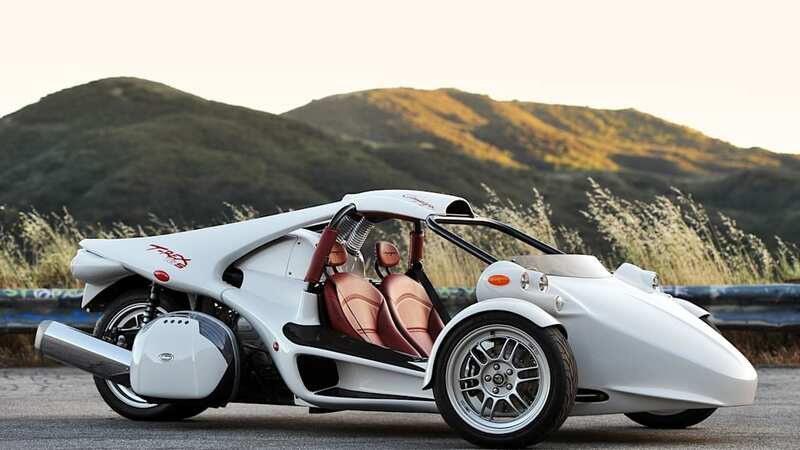 Short of tossing handfuls of cash out the window, there is no better way to draw every set of eyes on you than to pilot a T-Rex down a crowded road. The attention I received was mind-boggling, regardless of my location, meaning every venture out of my garage took three times as long as estimated just to answer a flood a questions from passers-by. In the proper mindset, it's enjoyable. 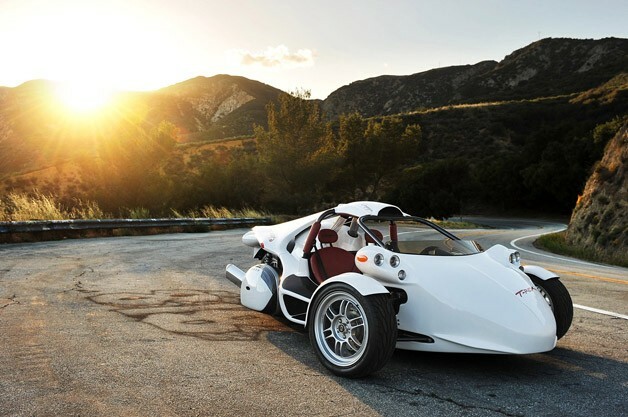 The T-Rex is a three-wheeled machine that sings an emotional plea aimed at the heart of those passionate about driving. As a certified geek of all things mechanized, I had a lot of fun with the T-Rex and I leapt at the opportunity to drive it as much as possible. 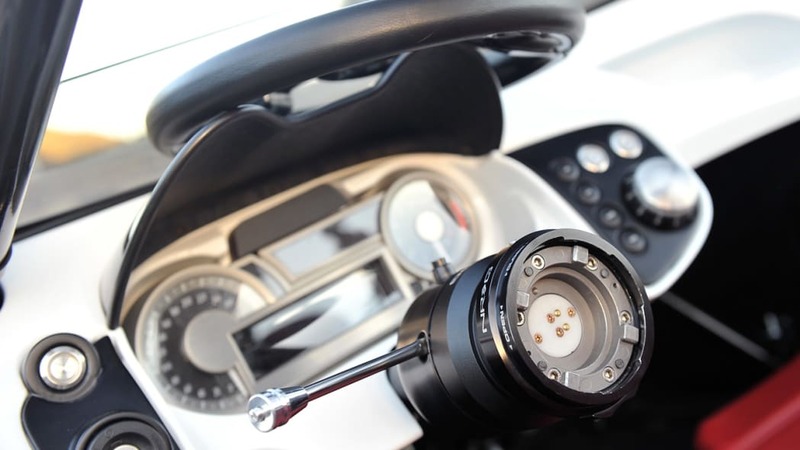 Its build quality is admirable and its operation is extremely engaging and rewarding – understandably taking into account its sounds, unassisted controls, lack of electronic nannies, manual gearbox, sensitive clutch and required attentiveness. 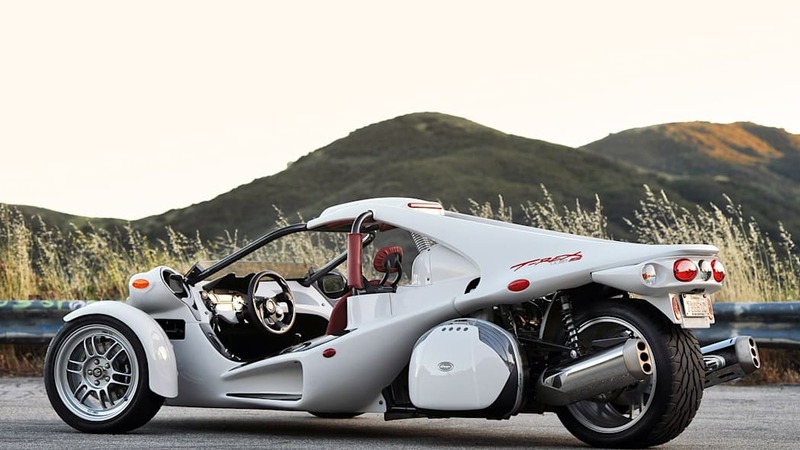 But before anyone envisions a city chock full of three-wheelers, keep in mind that Campagna's T-Rex is not a replacement for a car. Nor is it a replacement for a motorcycle. 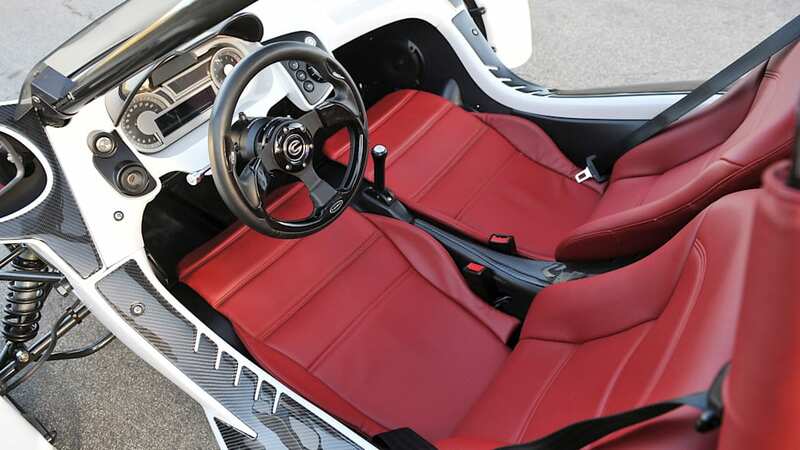 It is a three-wheeled machine, built strictly for motoring gratification, that sings an emotional plea aimed at the heart of those passionate about driving. 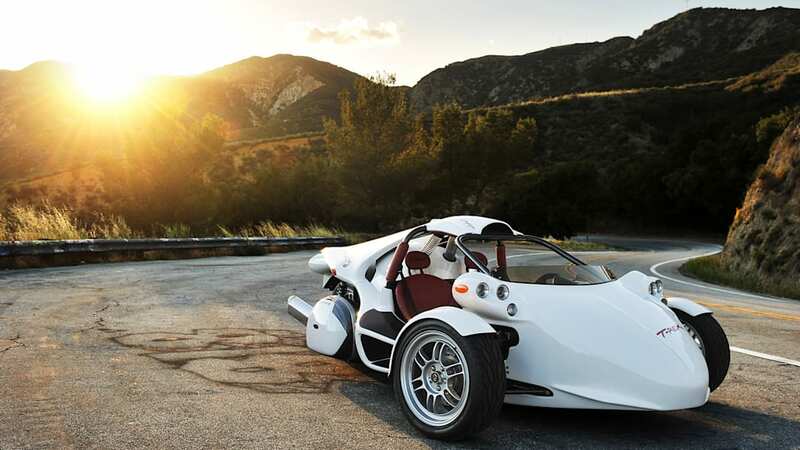 As late-model sports cars become more isolated, while requiring less driver involvement, specialized vehicles like the BMW-powered T-Rex 16S emerge as notably more appealing. Just don't forget the glasses and earplugs.